If you’re still looking for something to bring to the family meal for the holidays, try this one. 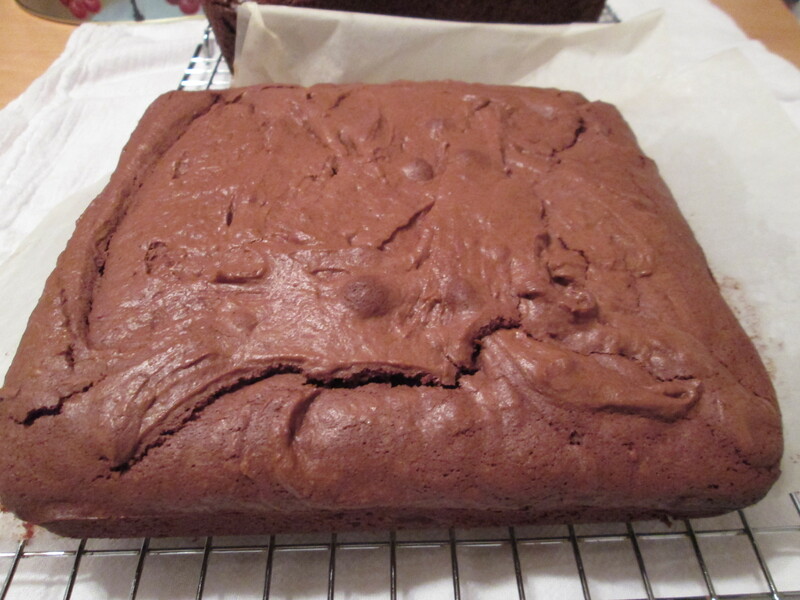 It’s Chestnut-Chocolate-Bourbon Brownies. What gives them a seasonal touch is the chestnut spread, which is flavored with vanilla and sugar, so additional sugar is unnecessary. These are the perfect party treat. 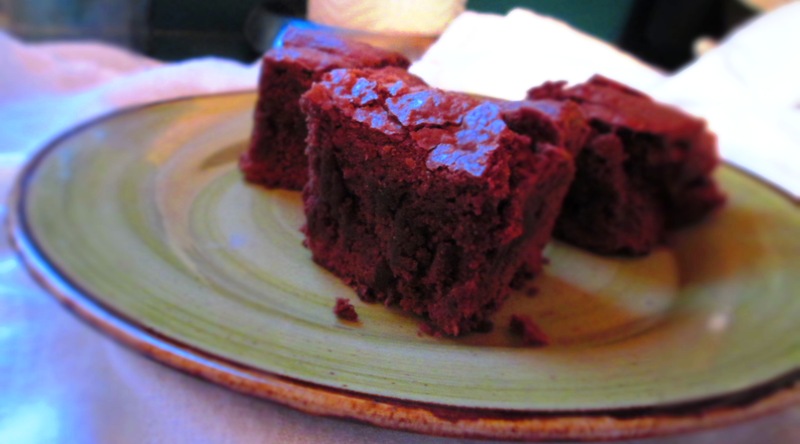 Chestnut is a classic holiday ingredient, and who doesn’t love brownies? As for the bourbon…well, let’s just say it makes the holidays go down easier. 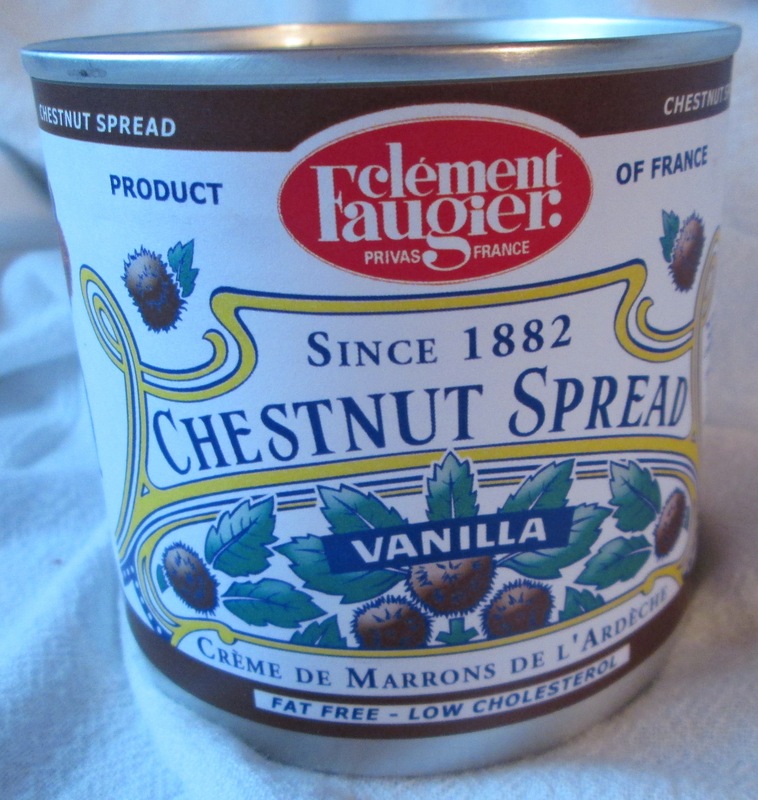 You can find the chestnut spread at gourmet shops (I found mine at Dean & Deluca in Manhattan). For those of you who celebrate, I hope that you have a wonderful, joyous Christmas, or a bountiful, happy Kwanzaa. Preheat oven to 350 degrees. Grease an 8 x 8-inch square baking pan and line it with parchment. 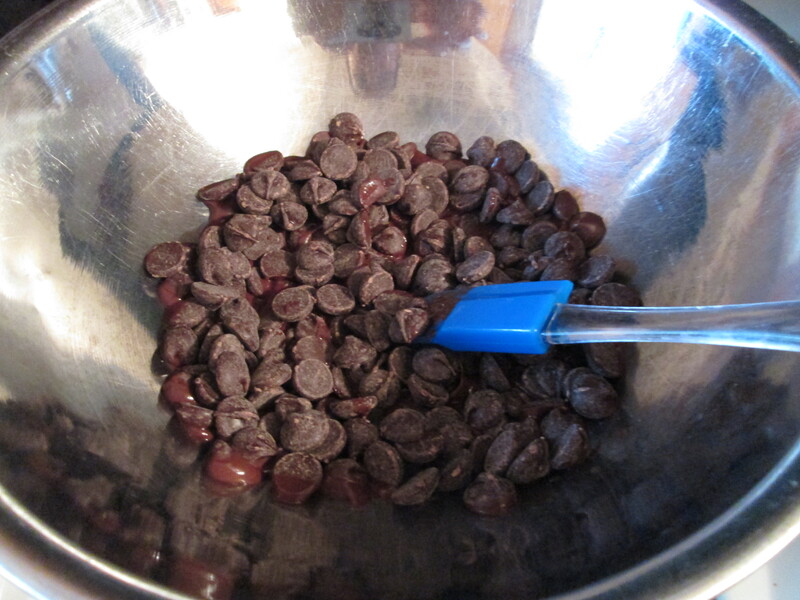 Melt chocolate in a double boiler or an aluminum bowl set over a pot of simmering water. 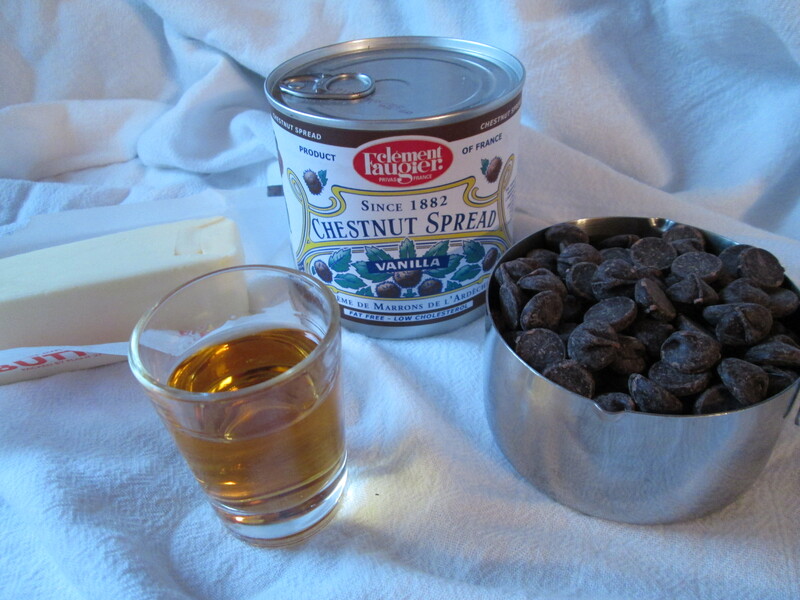 In a medium bowl, combine the chestnut spread and butter. Stir to break up butter. Stir in egg, then bourbon and melted chocolate. 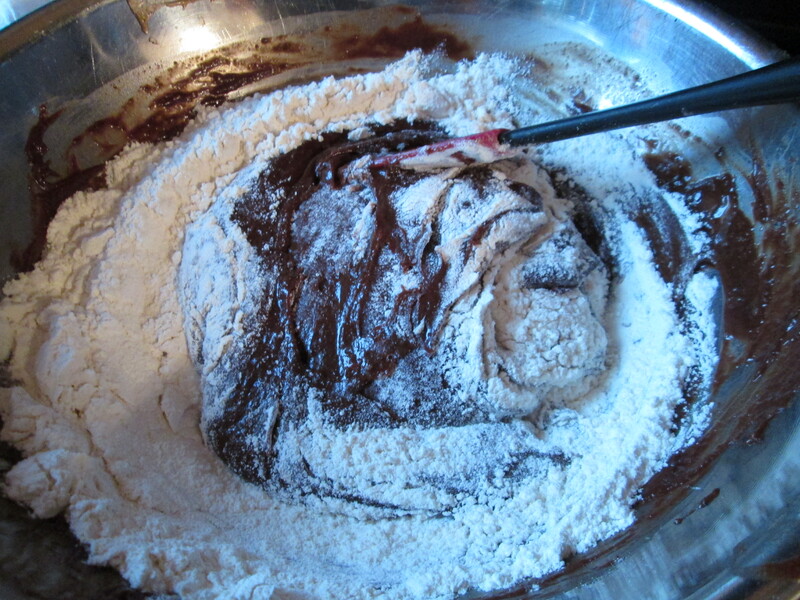 Add flour and baking powder and stir just until blended. Transfer batter to baking pan. Bake 45 to 60 minutes, or until a toothpick inserted in the center comes out fairly clean. If top get dark before cake is done, cover with aluminum foil. Transfer pan to wire rack and let cool for 10 minutes, then lift cake out of pan using parchment and place on rack. Let cool completely. Cut into 2-inch squares. Categories: Baking, Cakes, Desserts, Holidays, seasonal cooking, Uncategorized | Tags: brownies, chestnut, chocolate | Permalink.